The mystery of the Bermuda Triangle finally 'solved'? 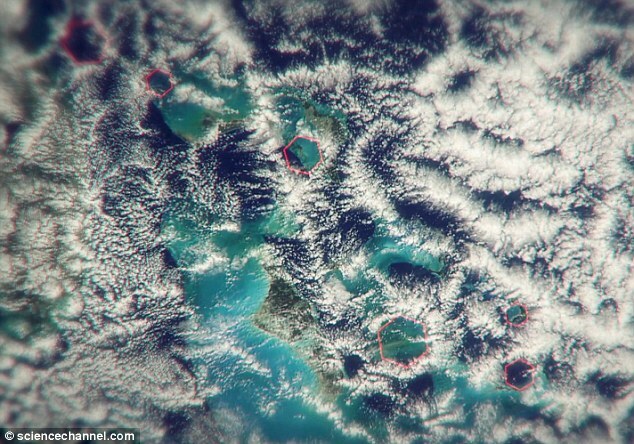 The mystery of the Bermuda Triangle finally ‘solved’? Scientists firmly believe they have solved one of the greatest mysteries on the planet: What happens in the enigmatic Bermuda triangle? Scientists say that ‘hexagonal’ clouds are to blame. In fact, researchers indicate that the hexagonal clouds create some sort of oddly shaped cloud formation which produces winds of over 270 kilometers per hour, causing ships to flip and airplanes to crash. Experts claim that these enigmatic hexagonal ‘voids’ in the clouds have enough power to flip ships sailing in the ocean and even bring down airplanes. The Bermuda Triangle is a massive 500,000 kilometer-wide area in the North Atlantic Ocean. 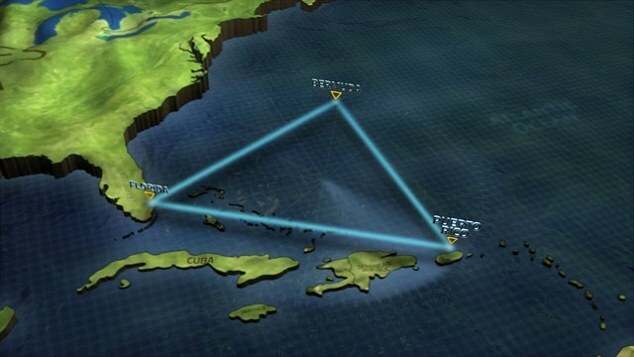 It’s also dubbed the “Devil’s Triangle,“ and is defined by points in Bermuda, Florida, and Puerto Rico. The triangle does not exist according to the US Navy, and the name is not recognized by the US Board on Geographic Names. However, the area is there and has been responsible for the disappearance of at least 70 airplanes and hundreds of ships. Contrary to popular belief, the Bermuda Triangle isn’t a modern urban myth. In fact, Christopher Columbus was one of the first people to witness the mysteries of the Bermuda Triangle. Being such an esoteric navigator and a well-respected sailor, his log sailing to the New World is very accurate and precise. What is very interesting is that when Columbus sailed into the area known as the Bermuda Triangle, he recorded having compass malfunctions, he saw a fireball crash into the ocean, and he witnessed strange lights and odd weather phenomena when passing by the Bermuda Triangle. Even Astronauts, Russian Cosmonauts, and pilots from around the world have spoken about the Bermuda Triangle saying to have seen flashes of light when flying over the area, moments in which, according to many, electronic flight instruments appear to malfunction. In previous studies, experts revealed that satellite measurements showed that the Van Allen belt i.e., the inner radiation belt of the earth which is a layer of energetic charged particles, is located closer to the surface of our planet precisely over the region of the Bermuda Triangle. Scientists speculate that the variation of the Van Allen belt and its proximity to this area could lead to the numerous mysteries that have been connected to the area: the disappearance of ships and airplanes and mysterious weather phenomena. During the last couple of decades, scientists tried very hard to explain the phenomenon that may rule within the ‘invisible triangle.’ What causes airplanes and ships to disappear without a trace? Why do aeronautical equipment and navigational equipment malfunction? What can cause a compass to spin and give false readings? What makes the radio go silent and makes it impossible to communicate? Until today no logical explanation had been given until experts spotted mysteriously shaped clouds and voids all over the Bermuda triangle. Experts believe that the winds created by the mystifying ‘air bombs’ are so powerful that they are able to create 13 meter high winds. The Mirror believes this enigmatic weather phenomenon is behind the Bermuda Triangle Mystery. To put the mystery of the Bermuda triangle in numbers, on average around four airplanes and twenty ships o missing every year in the Bermuda Triangle.